Each section holds approx 500. 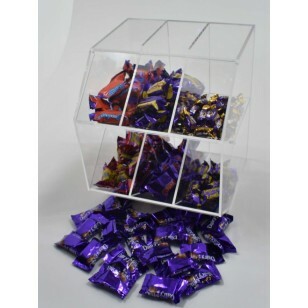 A 6 section 2 tier dispenser made in 4mm clear acrylic with 3mm toughened lids. Ideal for penny sweets. 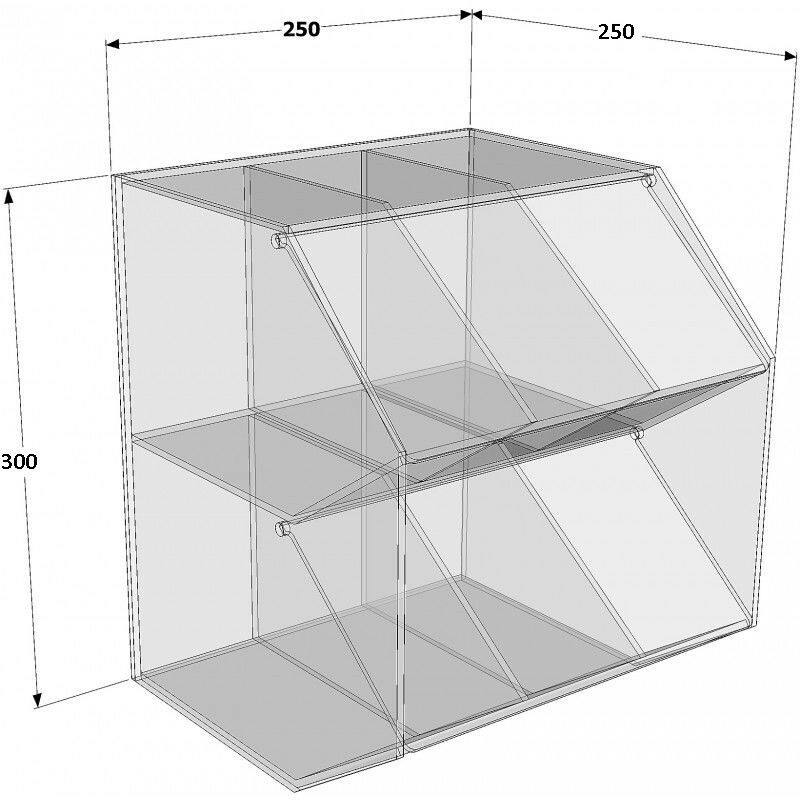 Can be stacked and has optional fittings to fit unit to slat wall. 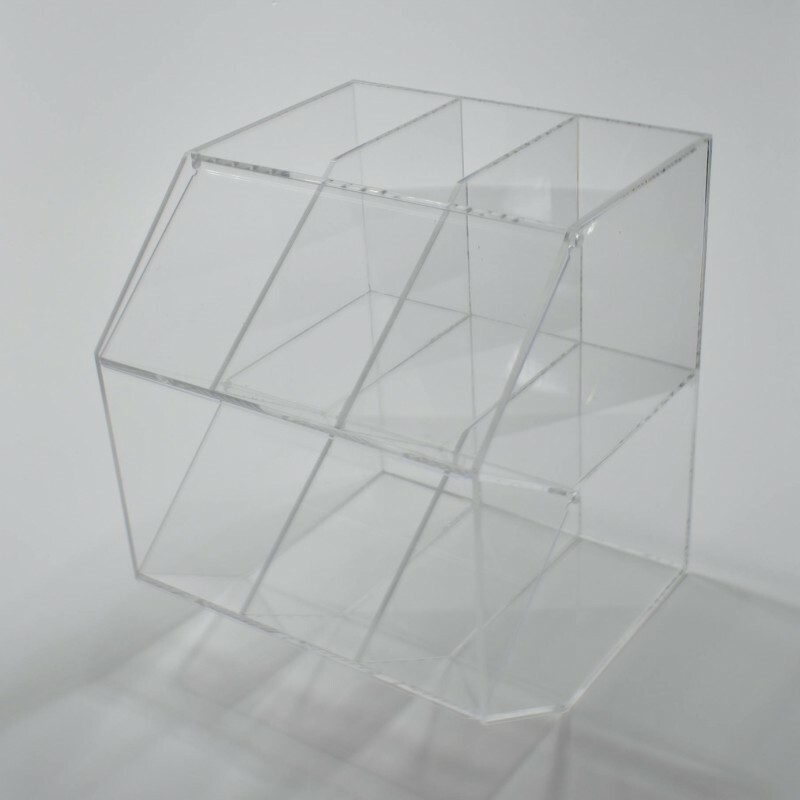 Other bespoke options can be produced in coloured acrylic, printed and much more. 12 section & 9 section units also available.